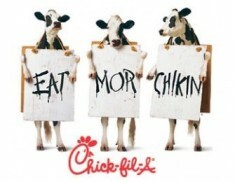 Thank you for joining us at Chick-fil-A Spirit Night last month. It was wonderful to see so many Timber Ridge Families out and enjoying time with family and friends. We also want to thank the amazing staff and teachers who came out to serve the kids ice cream. – $9,000 has been approved to fulfill teacher curriculum grants; the Board will review the requests along with Dr. Doe and Mr. Hill this month and items will be purchased immediately for use during this school year. In years past, we have provided additional learning tools such as website subscriptions, novels, microscopes, musical instruments and so much more; these purchases will mean more than ever to our teachers as they implement the new Common Core Curriculum. Stay tuned for details in the February TR Times. As we gear up for the second semester, we have updated information on the After School Activities that will be offered beginning in January. Please take a look and sign up today. We hope there will be something that is just right for your child. On behalf of the Foundation Board, we wish you and your families a safe and happy holiday season, and as always, we thank you for your support.